It’s time for businesses to start paying attention and embrace the new digital reality we’re living in. We are currently in the midst of what can be described as an endless and chaotic conversation. Massive amounts of information are constantly begging for our attention — tweets, status updates, billboards, news articles — and the ability to zero in on the bits and pieces that matter most at any given moment is an ongoing challenge. We all leave digital breadcrumbs of ourselves online every day across our personal social channels. Brands are doing the same and it’s time your business starts picking up the pieces. There is a wealth of data publicly available online that will give you insight into what your competitors are doing and planning. From job listings, to patent filings, investor news and boilerplates in press releases — once you start looking you’ll quickly find little treasure troves of valuable competitor data. At first glance, these pieces of information may seem insignificant but they offer invaluable insight into how your competitor is investing, how happy clients and customers are and its future market plans. Take Apple for example. The boilerplate at the bottom of each press release and news announcement offers an interesting view of the company’s priorities and aspirations. Looking at these couple of sentences, crafted specifically to convey strategic positioning and intent, we can gain an understanding of how the company’s focus has shifted over the years, from computers to personal computing devices. By tracking changes to the tone and language used in these two examples alone, you can see how small tweaks and changes to this publicly available information can signify a business’s overall strategy and focus. From the personal computers to iPhones and Apple Pay, the company’s clearly defined focus on creating personal devices of the future was revealed very early on — you just have to know where to look. Similarly, patents can be a clear indicator of a competitor’s market plans. Patents may seem insignificant until a company actually implements the technology, but if you start looking for patterns and begin paying attention, you’ll uncover a lot more than you’d expect. During mid-2016 Facebook filed a patent that would allow it to utilise an algorithm capable of predicting a user’s wealth. The patent came to light a couple of weeks ago after the information submitted to the US Patent and Trademark Office became public. While it’s not clear whether Facebook will actually implement this algorithm, it signals the company’s focus including potential plans to continue gathering increased information on users that can be used to entice advertisers. 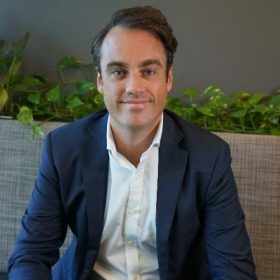 The arrival of Amazon Prime in Australia has been well publicised over the past year, and while the news of its official opening broke mid-April, there was already an online trail of its imminent opening well before any announcement had been made. 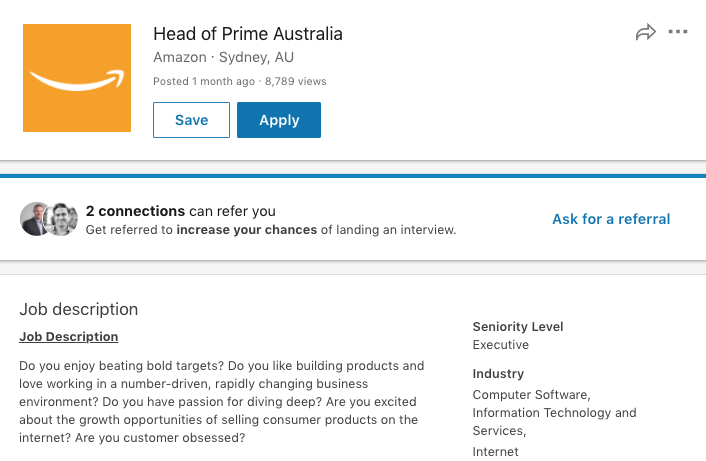 One month so ago, the company posted a job listing seeking a Head of Prime to help drive the company’s Australian operation. This big digital breadcrumb is a clear indicator to competitors that it’s time to start planning and ramping up their own efforts in the lead up to of the heavyweight Amazon Prime’s arrival. Thousands of job listings are posted every day online and it’s easy to set up job alerts to automatically flag becomes available at a competing company. Looking for these simple breadcrumbs can offer incredible insight into what area a company is looking to invest in, what kind of skills they may be looking to recruit and even a potential change in direction. All you need to do is start looking — those that don’t will continue to fall behind. It’s easy to look at how a business is performing, but understanding the trove of knowledge outside your own four walls will help you stay ahead of your competitors and better understand their weaknesses and strengths. This may seem simple, but bits and pieces of information are constantly being shared online, and all you need to do is start looking. With the right tools, any brand can discover outside insights and utilise it in the boardroom with real-time competitive benchmarking based on third-party data. This is the new digital reality. Start following the trail or risk falling behind your competitors.